Monitor your progress easily and set goals! Athletes can view scores and rankings from their Shooter Performance Tracker® on their computer, phone or tablet devices. The Shooter Performance Tracker® (SPT) is the League’s exclusive performance tracking tool provided to all participants of the League. 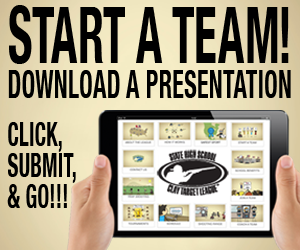 Each athlete receives personal access to the web-based application to monitor their True Team® scoring and progress compared against their team, their conference, and all other athletes in the state. Athletes can share access to to their SPT so friends and family can watch their favorite clay target league athlete on any computer, tablet, or mobile device! SPT allows you to monitor your progress in all areas of League performance including weekly average, True Team® points earned, personal best performances, team standings, and overall league information and updates. Your personal ranking dashboard is a quick snapshot of how you rank overall and by week within your team, conference and state results. Set ranking goals with yourself and coach throughout the year to help you improve your shooting skills! Parents and athletes receive access information after they successfully complete the athlete registration that they receive from their team’s coach before the League starts. When scores get published on Saturday night, SPT users can login in from the League’s home page to get the latest update. 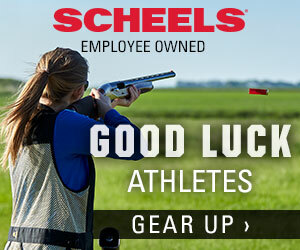 © 2019 North Dakota State High School Clay Target League. All Rights Reserved.